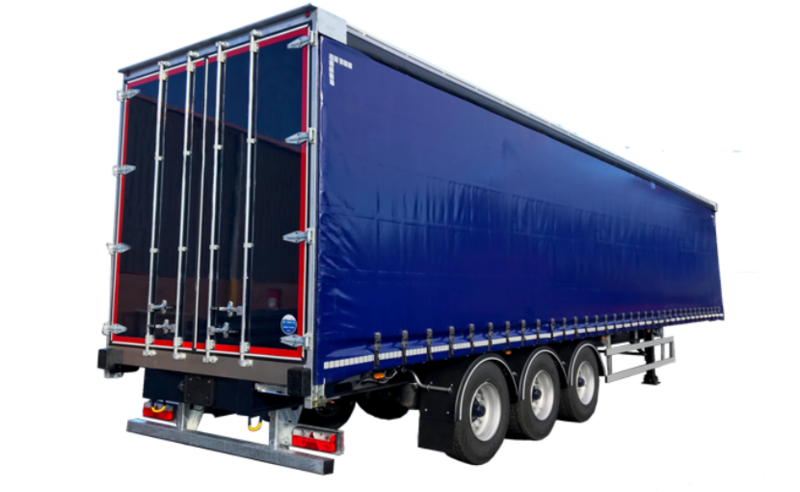 SDC’s Curtainside trailers are manufactured using high tensile steel, this is to achieve minimal weight and they feature a unique bolt on body to ensure low maintenance and ease of repair. Chassis include both straight and step-frame designs. There are a huge range of variations to choose from, including, fork-truck rear end, tail lift, steer axles, various door options, aerodynamic aids, and various axle / EBS manufacturers. SDC Curtainside trailers provide the ultimate flexibility when loading from the side or rear of the trailer. The operator has the flexibility of customizing load restraint options for their particular operation. Certified to carry 29 tonnes payload. Side wall retains 40% of the load, front wall retains 50% of the load and rear wall retains 30% of the load. Ensures longevity of the trailer and load security when transporting goods. For peace of mind when using on loading bays. The lightweight design of SDC's Curtainsider allows for increased payload, resulting in reduced fuel consumption and better economic returns for the customer. For safety and ease of driver operation and professional durable finish. Sliding and ground access sliding coupling options available.